Regular and scheduled care of the teeth you have is one of the best investments you can make in your life. Would you like to reach the age of 80 with a full set of teeth, the ability to chew chewy and hard food items? There is no secret, it’s just perseverance and taking active steps in preventive dental care. Taking the time twice a year to visit your dentist will save you thousands of dollars in the long run. By avoiding gingivitis, gum disease, and avoiding costly fillings and tooth replacement procedures, you will not only save money and time, but you will age gracefully with the beautiful set of teeth. So what is a suggested dental schedule, you ask? Every day you must brush at least two times and be sure to floss before going to bed. Ideally, you brush within 30 minutes after eating. This ensures that no deposits are left in your mouth to turn into plaque, which is the leading cause of gingivitis. A regularly scheduled visit to the dentist should be planned at least once a year if you are in low-risk dental group. At this appointment, your dentist will give you an oral evaluation, perform x-rays, and conduct a thorough teeth cleaning. A teeth cleaning cost is nothing in comparison to having your dentist find out you have gum disease or oral cancer. 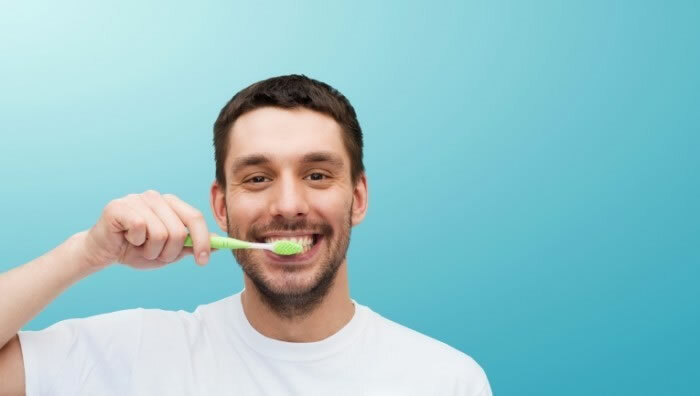 That is one of the main points of regular appointments, allowing a professional to find early signs of gum disease and other ailments that you might not be able to detect. Treating gingivitis is fairly easy and is done by a dental hygienist. Removing all of the plaque and tartar from the teeth and in the deep pockets of the gums is the beginning of treatment. At home you will have to brush teeth regularly and floss. Usage of fluoride toothpaste is necessary, and after a few months you will notice your gums are back to the way they were meant to be. Preventive care and routine consideration of your health help avoid many other issues as well. You will never have to consider bad breath remedies, because you already know the cure to bad breath is routine oral hygiene (in addition to staying away from strong smelling foods). How To Deal With Toothache Pain? When I was a child growing up in the Appalachian Mountains, I grew up with my grandfather. He was a bit old-fashioned and he made his living from hunting and selling firewood, a real outdoorsy-type of guy. He would pretty much eat garlic cloves all day and come home and drink some Kentucky bourbon. I don’t think I ever saw him brush his teeth once and, by the time I was old enough to remember, I caught a glimpse of his teeth. They were some of the most decayed I have still seeing up to this point. I imagine he would have been in tremendous agony and pain from the condition his teeth were in. But as I made my way through medical school I learned that tooth pain relief can actually come from both of his favorite things, garlic and bourbon. This is now the tooth ache remedy I suggest for my clients. Chew garlic in the affected area. Garlic has holistic qualities that relieve pain in the mouth. Apply bourbon to a cotton swab, in slowly And gently massage the area in the mouth that is experienced pain. This type of alcohol acts as an anesthetic and can dull or ease pain. To visit our dentist office and explore other preventive strategies that we can suggest, send us a note through our contact form on the “About Us” page.